Outdoor Adventure Rule #145: if it’s good enough for the Outback, it’s probably good enough for you. Perfect example? 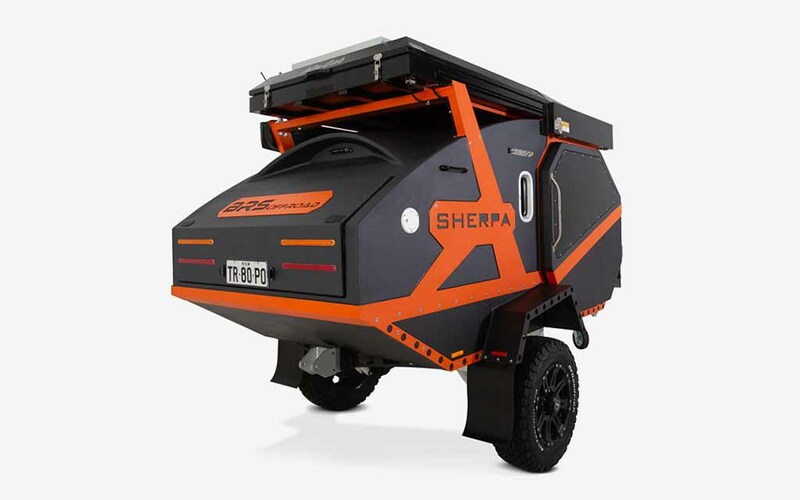 The Sherpa camper, recently launched by New South Wales concern BRS Offroad. 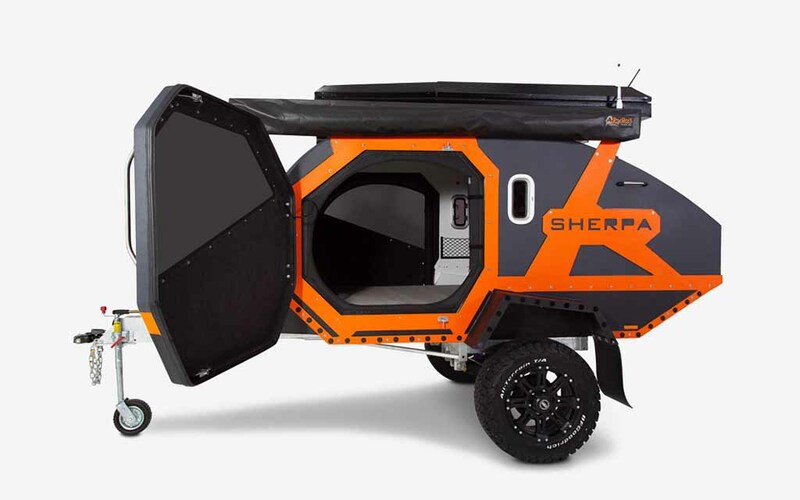 It’s the little off-roading trailer that could, equal parts teardrop and tank. 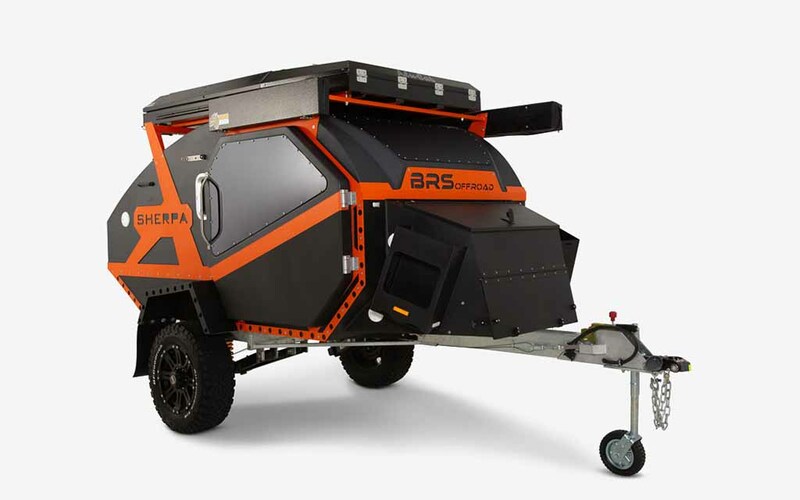 Every company in the adventure-vehicle space aims to tout their trailer’s mix of specs as lightweight and tough. But few, if any, are shaped like the Sherpa. Its marine-grade alloy shell was cut into an octagonal shape to keep the trailer at a svelte 121 lbs., while its honeycomb core is less than an inch thick and coated in Raptor liner. What does that mean? That the thing can take a beating, wherever you decide to go … and it won’t give your truck back trouble getting there. Inside the Sherpa’s heated sleeping cabin, expect to find a 21” LED TV, a fridge, a stargazing window and multiple outlets. And on the outside, enjoy a healthy number of adventure mods. Outdoor shower? Check. 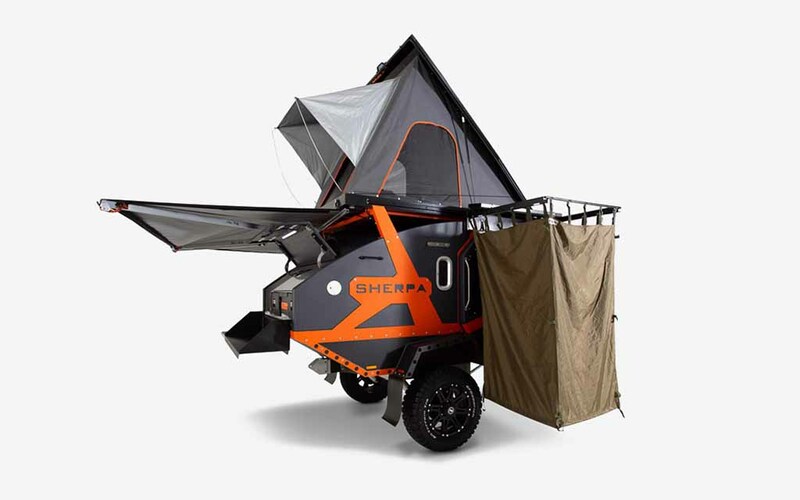 Rooftop tent? Yes, sir. Not to mention drawers for food, a stove and a lithium battery charging system. Find more information here. While you need to be in Australia to acquire a Sherpa, you should be able to ship it back stateside, cost permitting.